We just added another show. After Griffin's show sold out again for the umpteenth time in a row, Griffin and his agent proposed a second show on the Thursday night before. We said, "Why not?" It will be a Thursday and will most likely not be quite as busy as Friday's show... making it an even more intimate event. If you were late on getting tickets for the first show, here is your chance. A little history. Griffin has been here by our count over 10 times. He was the 6th show we ever did in late November 2006. If you read his bio, he was not very far into his music career at that point. Neither were we. He has been here several times solo, as a duo, and even with a full band. We are not really sure what he is bringing with him this time. As the person who books the shows, it really doesn't matter what the configuration of the show is. He is the only artist I can say that about. 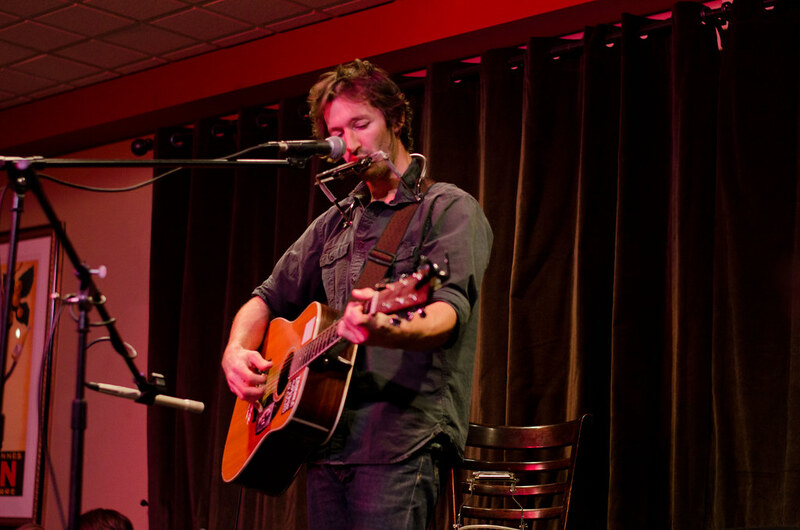 Whether he is solo or in a duo, you get a chance to appreciate his voice and song writing. When he is here with a band, it is one rocking show. I think Griffin likes coming here because so many of you have been devotees to his music. You sell out every show. There is a connection with the audience when Griffin comes to play that is not like any other artist we have here. It seems that almost everyone knows every song. In looking back, I am not sure how all this started. Did it start by listening to his music, listening to his music here, or was it just word of mouth? Griffin is by far the Playlist Theater's favorite artist.